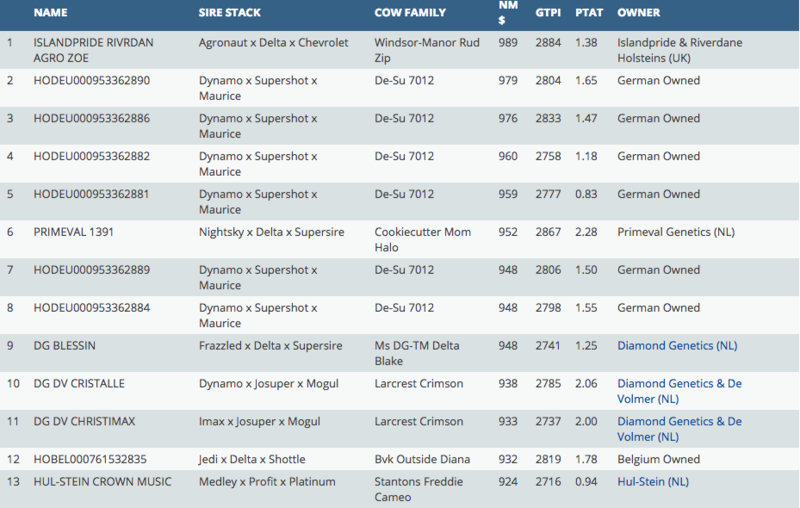 September '18 intermediate genomic rankings! 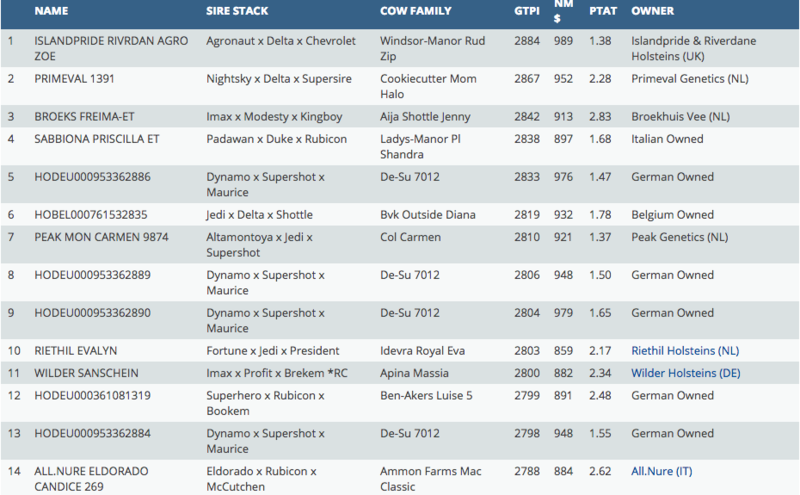 The monthly intermediate rankings are online of the European tested females on American base with Islandpride Riverdane Agronau Zoe on the 1st place this month with GTPI +2884 - she is an Agronaut x Delta x Vekis Chevrolet from the Windsor-Manor Rud Zip cow family. 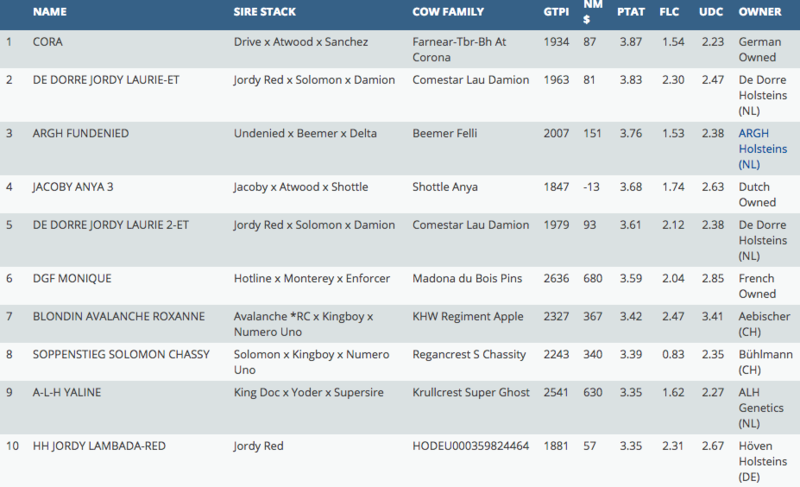 Multiple Eurogenes members were very successful for example: Riethil Holsteins which added 2 new GTPI toppers with +2803 & +2764 GTPI and Wilder with 4 heifers in the list >2700 GTPI!